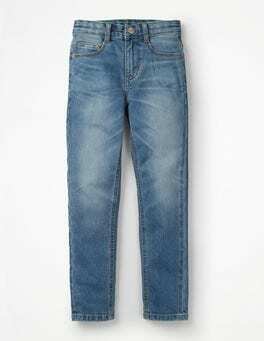 Guess what – these might look like regular jeans but they're actually made from jersey. That means, that thanks to the soft fabric and the stretchy denim, they're as comfortable as a pair of joggers. The garment-dyed finish and slim fit make them rock-star ready.